We love the simple things in life, and The Veda Company's mission of living a balanced life, in harmony with nature, built on timeless traditions that date back more than 5,000 years, resonates with us. Here's some information about these wonderful soy candles. Our fragrances are based on ancient Ayruvedic "healing" aromatherapies and made from organic ingredients. Traditionally considered the most precious of jewels, this floral fragrance inspires bliss and tranquility. Our vegan, all-natural fragrances are skin-safe and can be used as a solid perfume when cold or massage oil when warmed. The Topaz: The color known for enhancing intelligence, this warm, floral fragrance inspires focus, calming and balances your creative energy (Vata). Gardenia, water lily and jasmine give way to the fruity middle notes of peach and apple blossom. Plant based essences include orange, ylang ylang, coriander and clove bud. 70% organics. 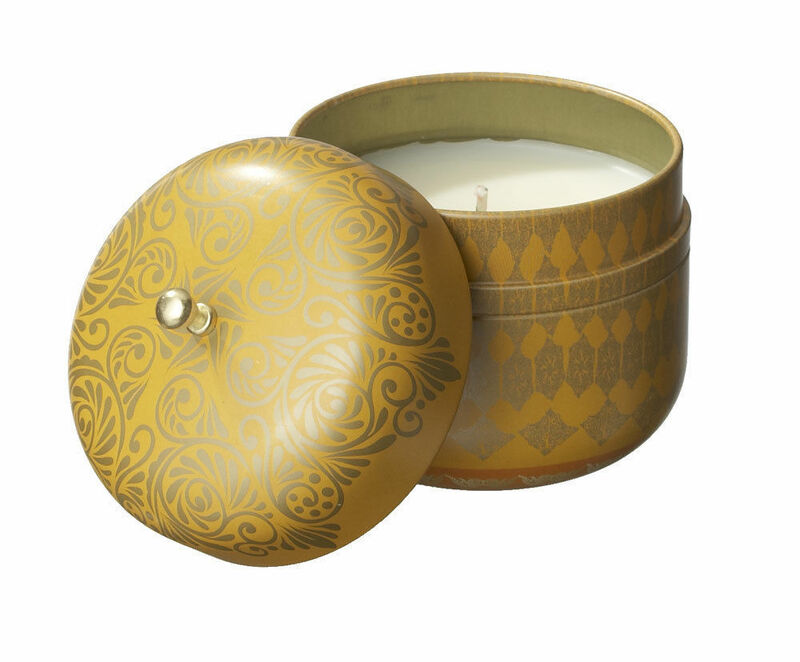 Vegan, 100% soy wax, cotton wick, in an attractive travel tin with vintage styling. 30 hours of burn time. Made in the USA.